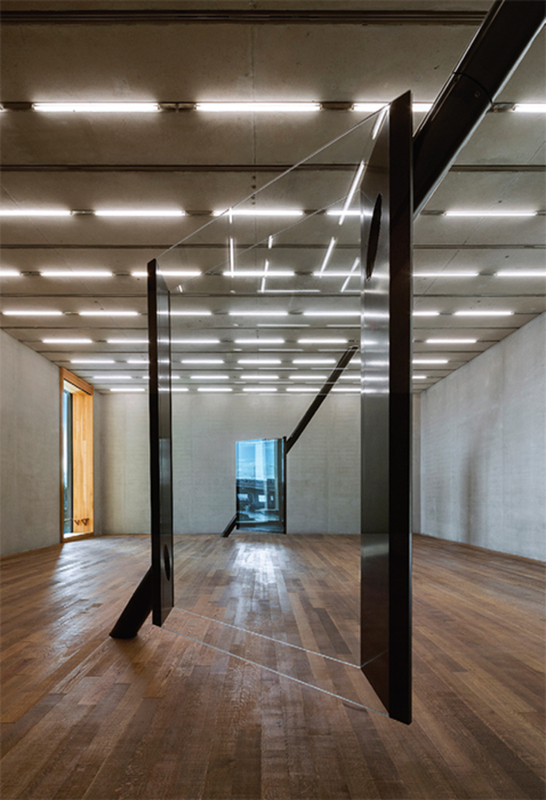 Sarah Oppenheimer, S-281913, 2016, aluminum, glass, two components, each 16' × 17' 9“ × 1' 4”. Installation view. Photo: James Ewing.